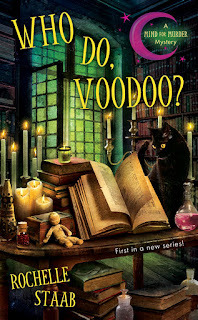 Rochelle (at) RochelleStaab (dot) com with your name and mailing address so she can send you your copy of WHO DO VOODOO? Labels: A Cheese Shop Mystery, Avery Aames, Rochelle Staab, Who do Voodoo? Congratulations on the new release! This looks like a great series. I can't wait to read it.